To the Orthodox Believer who thinks that outside Joseph Smith’s leg surgery that we know very little. This gets more complex than that. We actually know a lot more about Joseph’s youth and some of his experiences. We hope you enjoy this chance to better understand the early life of the Prophet Joseph Smith. Most of us know the basic story. Joseph was born in Sharon Vermont on Dec 23, 1805. His parents Lucy Mack Smith and Joseph Smith Senior. They were the parents of 11 children (two of the children died soon after birth), of which Joseph was the 5th. That said there are many other experiences in the life of Joseph that we as members discuss very little that likely had a much bigger impact on his life and future role as Prophet of this dispensation. Let go over some of these. 1.) The extreme likely hood that Joseph Smith Sr. and some of his boys were Water Witchers and knew the craft of using a diving rod. Most readers of Church history will pick out that the Smith boys and their father were often called upon to dig wells. We often never consider the gravity of this in a time long before the use of electronic equipment to reveal where various compunds and materials are underneath the earth. To dig a well was hard work and took some time. If one were to select the wrong place to dig, days would be wasted and energy spent in vain. Hence it was crucial to know where that water was. Those who dug wells in Joseph day often located water with the use of a diving rod. We have four witness in the historical sources who say that Joseph was taught by his father how to use a divining rod around the age of 11. Oliver Cowdery also appeared to have this gift and Joseph dictated a revelation to Oliver that discusses Olivers use of a Water Witching Rod. Please see LDS official source HERE. Even today many farmers and well diggers still insist on using such a method to “divine” where water is located before digging. 2.) Joseph associated with “Scryers” in the palmyra area and becomes a scryer himself who expands beyond locating water. A Scryer is defined one who uses divination to discover hidden knowledge, item, or percieves future events; especially by means of a crystal ball. Surprisingly there were several scryers in the palmyra area. One of those was Luman Walters. Luman was born around 1789. Perhaps as early as 1818 and certainly by the early 1820’s he is residing in Ontario County, NY just a mere 22 miles away from the Smith family. Multiple witnesses tell of Luman’s Walters treasure digs in an effort to locate buried treasure beneath the earth. 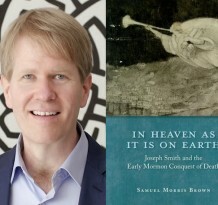 It is believed by Mormon Scholar D. Michael Quinn that Luman Walters served in a sort of mentor role to Joseph Smith when it came to scrying and “treasure digging” or searching for buried treasure beneath the earth and several historical sources speak to this. 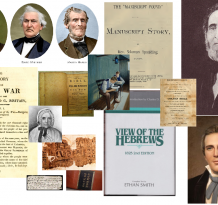 Joseph associated with other scryers as well, such as Sally Chase, Jack Belcher, Hiram Page, Chauncey Hart, William Stafford, Joshua Stafford, Samuel T Lawerence, and others. Some of these individuals eventually joined the LDS Church and some played prominent roles in it’s history. Sally Chase who we have already mentioned was a scryer. She had a green translucent seer stone and Joseph in an effort to find a seer stone for himself asked to use hers. Looking into her green stone he was able to locate a seer stone 150 miles away buried near a tree. 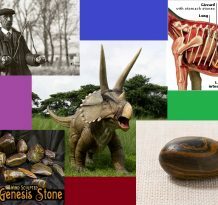 Going to the place perceived in his mind and proceeding to dig, Joseph located his first seer stone, A whitish opaque stone which he used to in his early days as a “seer” hence the term “seer stone”. 4.) Joseph gets his second seer stone in 1822 before his first visit from Moroni. Joseph came into possession of his second seer stone by locating it while digging a well with Willard Chase (Sally Chase’s brother). Wilford Woodruff says Brigham Young shared with him and others how Joseph located this stone. “Preside[n]t Young also said that the seer stone which Joseph Smith first obtained He got in an Iron kettle 25 feet under ground. He saw it while looking in another seers stone which a person had. He went right to the spot & dug & found it” (Wilford Woodruff’s journal, 5:382-83). In the year 1822, I was engaged in digging a well. 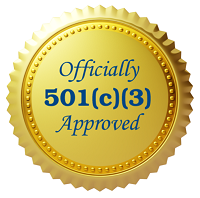 I employed Alvin and Joseph Smith …. We discovered a singularly appearing stone …. Joseph put it into his hat, and then his face into the top of his hat. 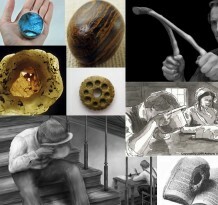 After obtaining the stone, he began to publish abroad what wonders he could discover by looking in it …. I ordered the stone to be returned to me again. He had it in his possession about two years. Some time in 1825, Hiram came to me, and wished to borrow the same stone …. I told him if he would pledge me his word and honor, that I should have it when called for, he might take it. As late as 1830 Willard was still making attempts to get the stone into his possession. It is this stone that is almost certainly the one Joseph used to translate most if not all of the Book of Mormon we have today. “He [Joe Smith] said that by a dream he was informed that at such a place in a certain hill, in an iron box, were some gold plates with curious engravings, which he must get and translate, and write a book; that the plates were to be kept concealed from every human being for a certain time, some two or three years; that he went to the place and dug till he came to the stone that covered the box, when he was knocked down; that he again attempted to remove the stone, and was again knocked down; this attempt was made the third time, and the third time he was knocked down. “Then he exclaimed, “Why can’t I get it?” or words to that effect; and then he saw a man standing over the spot, which to him appeared like a Spaniard, having a long beard coming down over his breast to about here, (Smith putting his hand to the pit of his stomach) with his (the ghost’s) throat cut from ear to ear, and the blood streaming down, who told him that he could not get it alone; that another person whom he, Smith, would know at first sight, must come with him, and then he could get it. And when Smith saw Miss Emma Hale, he knew that she was the person, and that after they were married, she went with him to near the place, and stood with her back toward him, while he dug up the box, which he rolled up in his frock” (Amboy Journal, Amboy, Illinois, 24, 30 Apr. 1879). 6.) There were several treasure dig sites including the hill Joseph called Cumorah where the plates were eventually revealed. 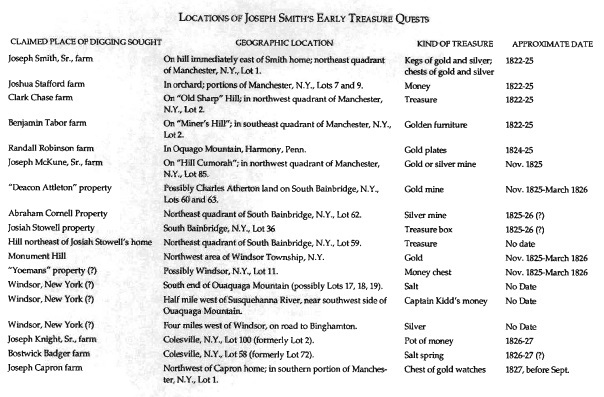 Was not Joseph Smith a money digger? Yes, but it was never a very profitable job for him, as he only got fourteen dollars a month for it. (Joseph speaking in the third person) – Joseph Smith, Elders’ Journal of the Church of Jesus Christ of Latter Day Saints [Kirtland, Ohio] 2 no. 3 (July 1838), 43. Also reproduced in Teachings of the Prophet Joseph Smith, 120; History of the Church 3:29; Discourses of the Prophet Joseph Smith, 271. Joseph seemed uncomfortable talking much about this part of his youth but the the depth and breadth of his being involved is much more than a few small endeavors. Dan Vogel a well respected scholar of Mormon history has written a detailed article detailing what we know about the various treasure digging sites. It appears that there may be approximately 18 sites, give or take. Included is a photo listing the sites. 7.) Joseph was to take someone with him to retrieve the plates and that person was not originally Emma. When Moroni spoke to Joseph, he informed him that he would need to bring someone with him to the Hill Cumorah to retrieve the plates. Moroni even told him who that person was…. Joseph’s older brother Alvin. The problem though is that Alvin’s dies before the date arrives. Moroni again visits with Joseph and informs him that since Alvin has died the person he needs to bring is another Palmyra scryer Samuel T Lawrence. But soon after Joseph changes his mind or is informed by Moroni that the actual right person to bring is Emma Hale. 9.) While the critics want to paint Joseph as a fraud, Joseph’s reputation as a successful scryer is evidence that something more was going on. on account of having heard that he possessed certain keys by which he could discern things invisible to the natural eye. 10.) Joseph had at least three seer stones during his life and likely had others as well. It’s sad to see you go down a path in my opinion out of the church. I think you are on the same ride that John Dehlin is on. With each post you make its not about building faith but creating doubt and mistrust with the leadership doctrines and beliefs of the church. At times I found some of your very very old stuff intriguing or even faith building but now it has all changed. Your to antagonistic on the same level of anti’s. I don’t know if I can continue to follow your website anymore. The ex Mormons might like it but it’s not for me. You might as well post your views on ex Mormon websites unless of course you want to disguise your website as a faith building website or in your case call it mistakingly leading with faith. Would you prefer we ignore the messiness in order to protect our comfortable beliefs? Or would you prefer we search for truth no matter what it does to our comfortable beliefs? Or are you suggesting I was dishonest or shared False data as “facts”? If so please help me see where I was inaccurate? Also still waiting on your effort to schedule our recorded discussion. Will their be a part two that discusses Joseph Smith participation in local churches even after 1820 and his creativity as a story teller?